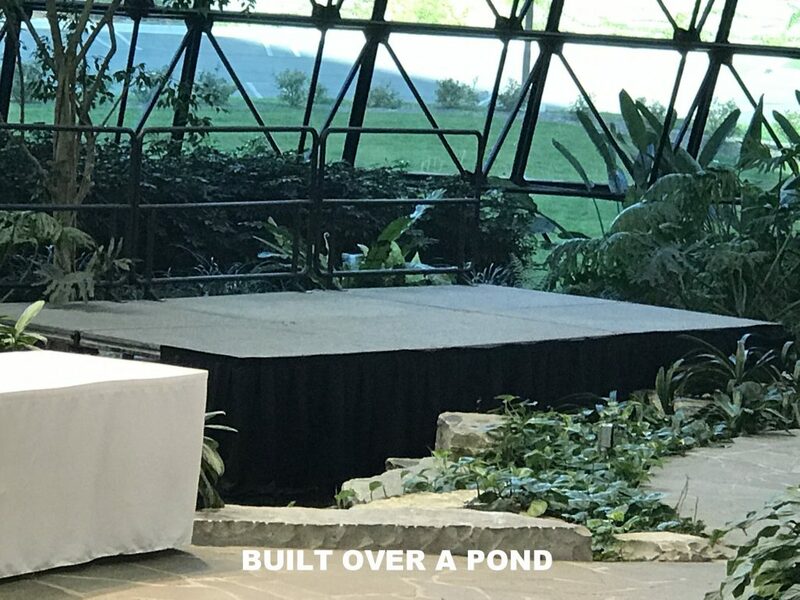 With 500+ decks in stock we can build any structure from 8″ to 8′ tall in any configuration on any terrain including on a hill, over machinery, and even over a pool or pond. Everything is in-house with no need to sub-rent legs, decks rails or stairs. 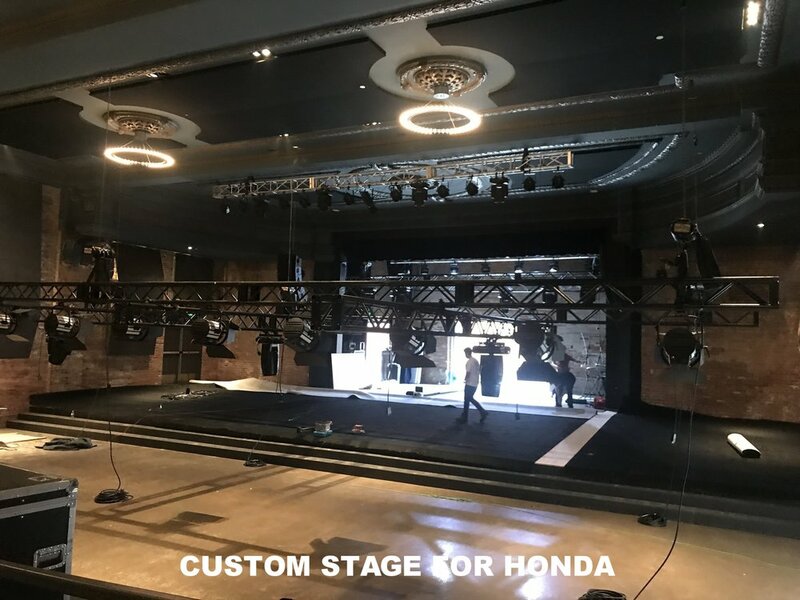 Custom staging like the one shown above built in a pond, is what we do! 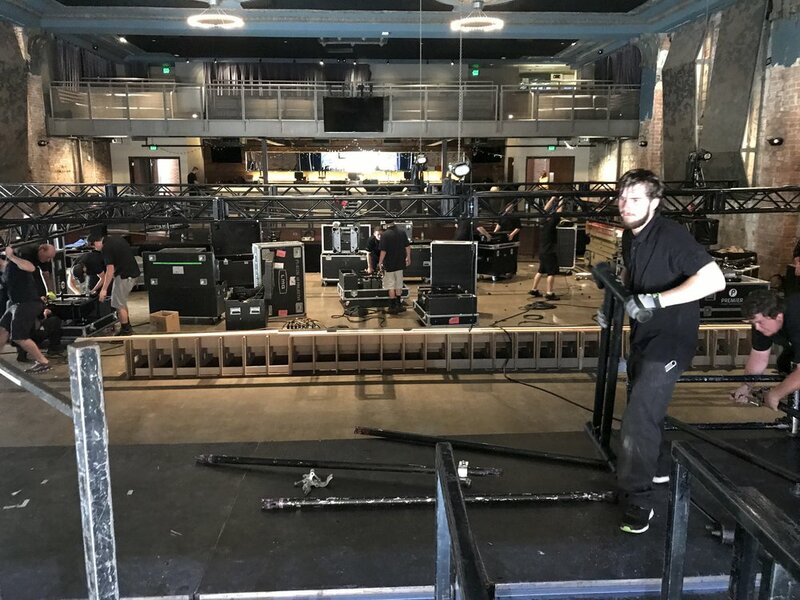 In the past 35 years Pegasus Entertainment has worked in almost every venue in town as well as many across the country from Miami to Las Vegas. 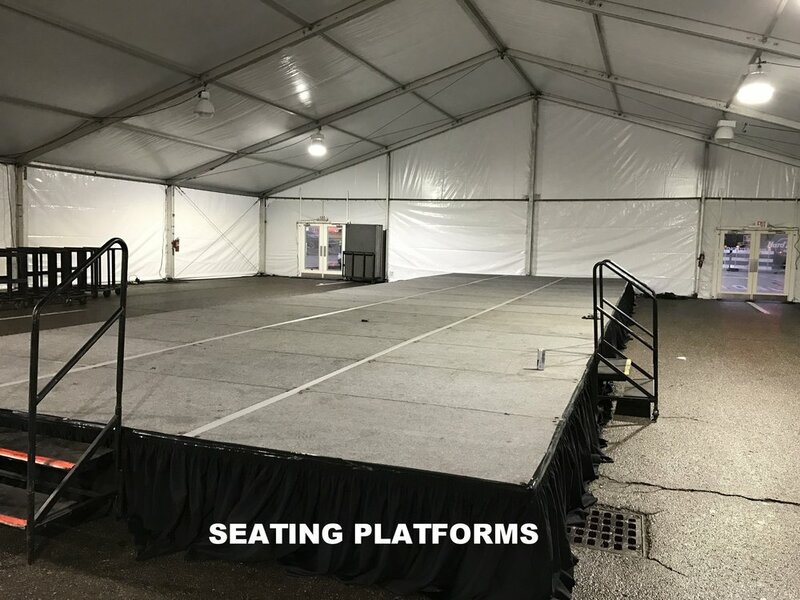 Banquet halls, concert venues, churches and so many more. 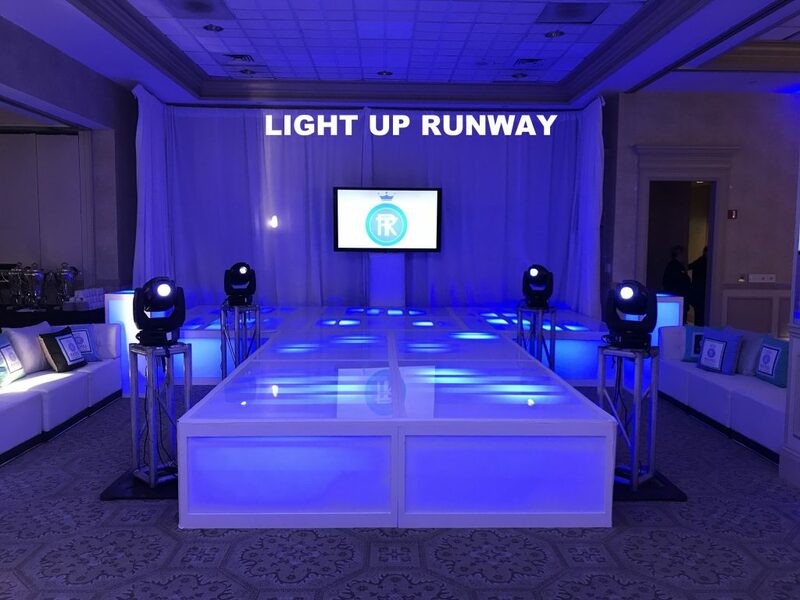 Our light-up staging panels can create a runway for your special event. 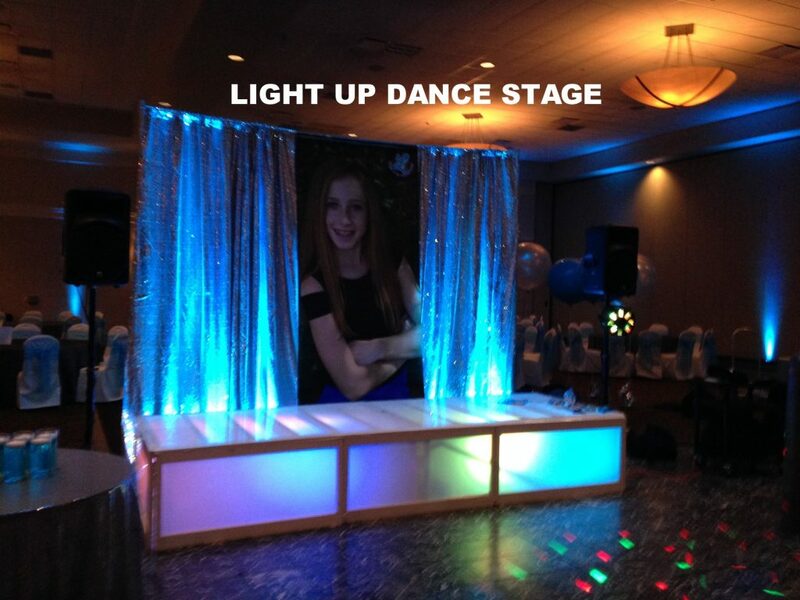 Using LED lighting we can change the color to anything you can imagine, or leave it one color. 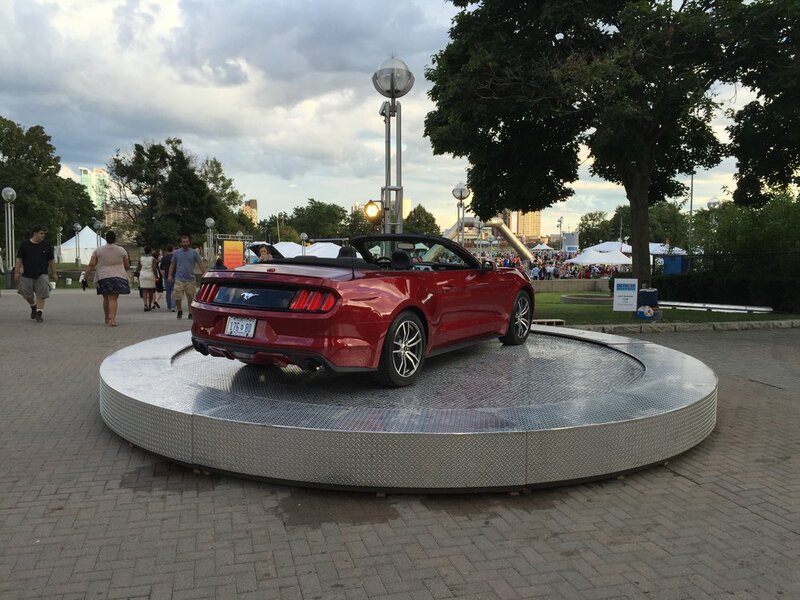 Our automotive turntable is always a hit with it’s diamond plate finish! 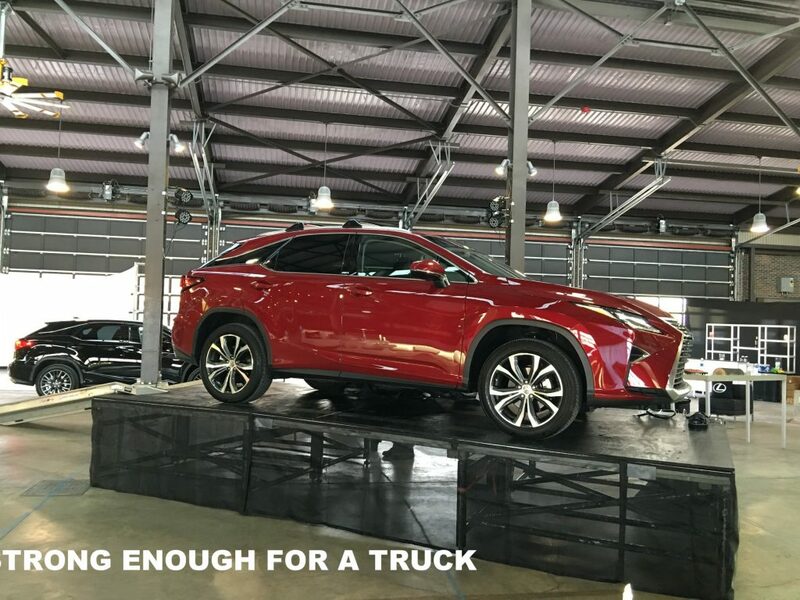 Pegasus specializes in safely staging automotive displays. 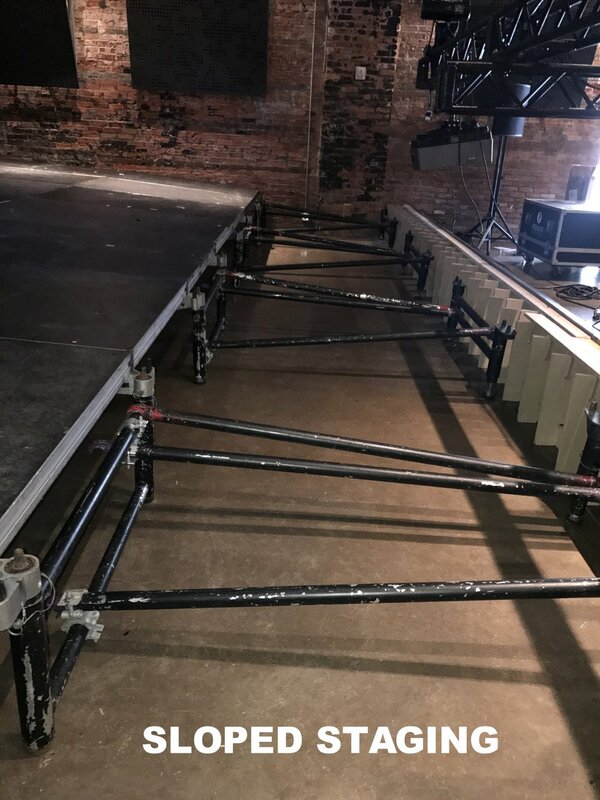 Our StageRight staging is a perfect fit for your display. Car ramps are also a stock item. 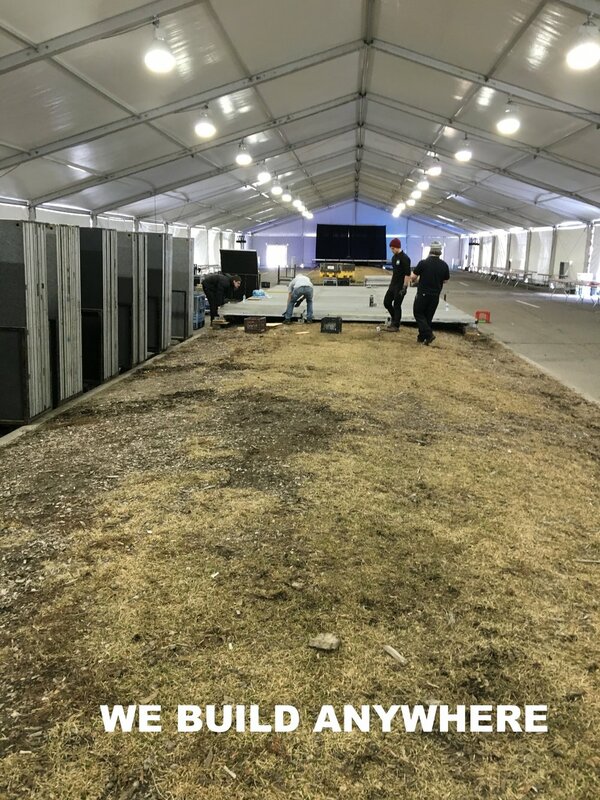 Pegasus can design, deliver, set up and tear down a custom stage for you at the location of your choosing. Various coverings are available such as the lighting bounce cover shown above. 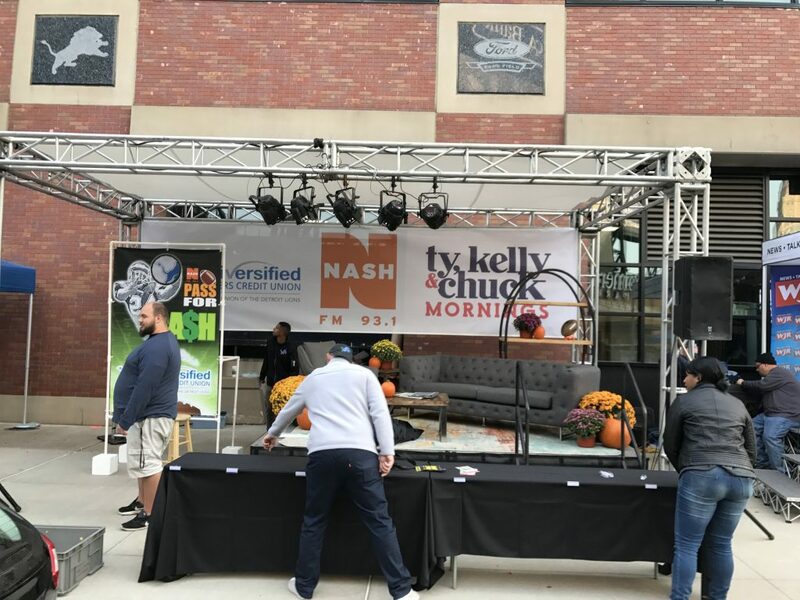 Our 44′ x44′ engineered stage roof is plan certified by a reputable structural engineer specializing in the entertainment industry. 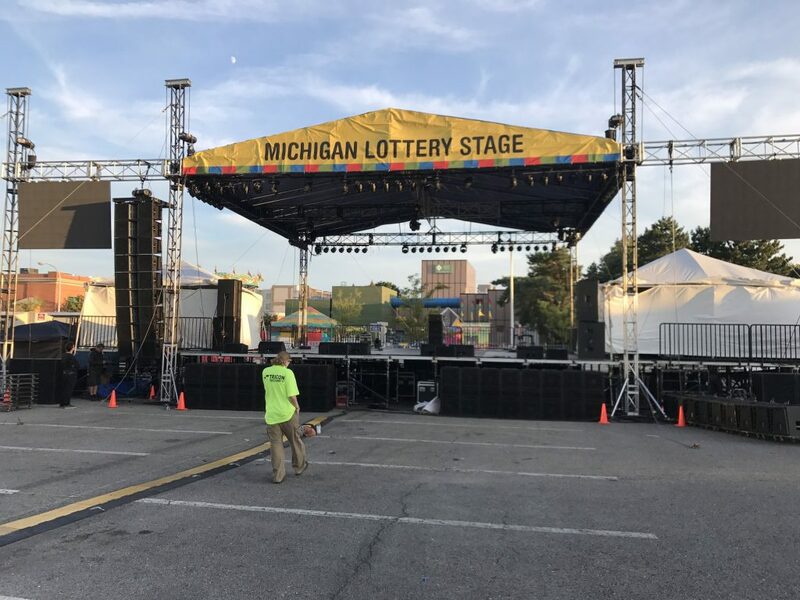 Used at over a dozen major music festivals per year by national stars including; Aretha Franklin, REO speed wagon, The B52s, Smashmouth, Pussycat dolls, Rick Springfield, and so many more.